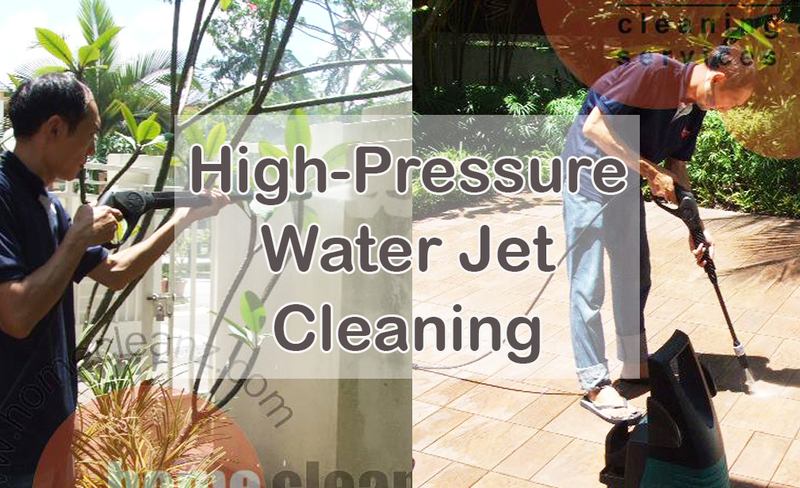 If you have outdoor areas of your business or residential property that receive heavy use and need professional cleaning, you most likely need good quality high pressure cleaning services to restore these spaces to their original clean, attractive appearance. With use of high-power, pressured water blasting, the soiled and stained surfaces of these areas will be freed of all dirt and grime that has collected to mar their beauty and pristine appeal. Whether you need pressure cleaning of your brick, slate or stone walkway or drive or for your patio, outside walling, decks, balconies or roofing, you need the expert services of a quality commercial cleaning enterprise that is reliable and experienced. No Scrubbing, Scouring or Polishing Needed. – With high pressure water-jet cleaning, no diligent scrubbing or industrial scouring is needed to produce a well-cleaned, spotless surface appearance for your office building’s entrance or your poolside deck at home. The surfaces of these areas are water-blasted free of all dirt, debris and stains, leaving them refreshed and looking like they were just newly constructed. Very Eco-Friendly Cleaning Method. – Hydro cleaning is an environmentally friendly cleaning method for outdoor surfaces of your residential or business location. Because it cleans purely by hard pressure water force, there are no harsh or potentially harmful cleaning agents or methods involved. Quite Cost-Effective for Home and Business. 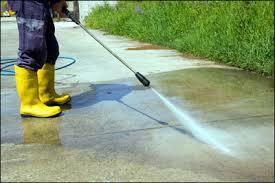 – Costs incurred by choosing high pressure water cleaning for your home or commercial property are surprisingly low. Due to this high efficiency type of power cleaning, water blasting of your walks, driveways, wall areas, deck or patio does not need to be performed with any degree of frequency. Extremely Fast and Efficient Cleaning. – This method of high powered water blasting to clean outdoor surface areas can be completed quickly and effectively within a short time period. 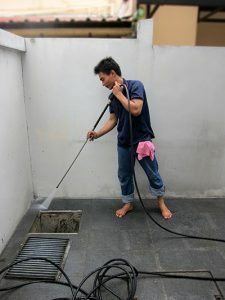 Because the high pressure water jets used for blasting away stubborn dirt and grime clean surfaces very thoroughly, this outdoor surface cleaning method is very efficient and is often preferred for both residential and commercial maintenance. For top quality cleaning of all your outdoor slate, stone, brick or concrete surfaces, contact the professional commercial cleaners at Homecleanz today. Our professional cleaning team will provide expert high pressure water blasting to thoroughly clean and revitalize all the surfaces of your outdoor home or business property, restoring them to their original pristine, attractive appearance. Call us for a no-obligation quote now at 6440 3342.